Twenty-five unforgettable backcountry adventures to North America's most enchanting places. Everything you need to know about some of the world's most enjoyable hiking routes, backcountry excursions on six continents. 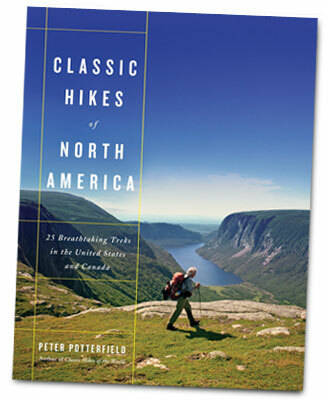 Illustrated with more that 150 color photographs and detailed maps for every hike. 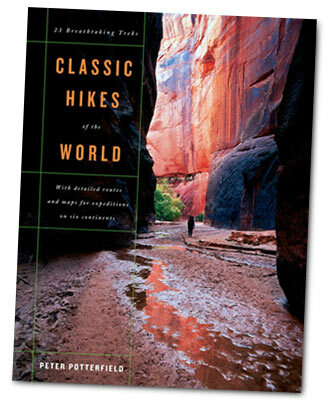 Classic Hikes of the World is a book to hike by-and a book to dream by. In one volume of precise information and stunning photographs, details about the most appealing hikes on the planet are gathered in one place. All of these hiking adventures are within reach, all of have the potential for to enhance the life of any outdoor lover or walker. If you want to go hiking-or just want to dream about going hiking-let this book steer you to some of the best treks in the world. Twenty-three unforgettable backcountry adventures to the world's most enchanting places.